Range: North Africa, Sinai peninsula, Israel, Arabia. Diet: lizards, rodents and other small mammals. 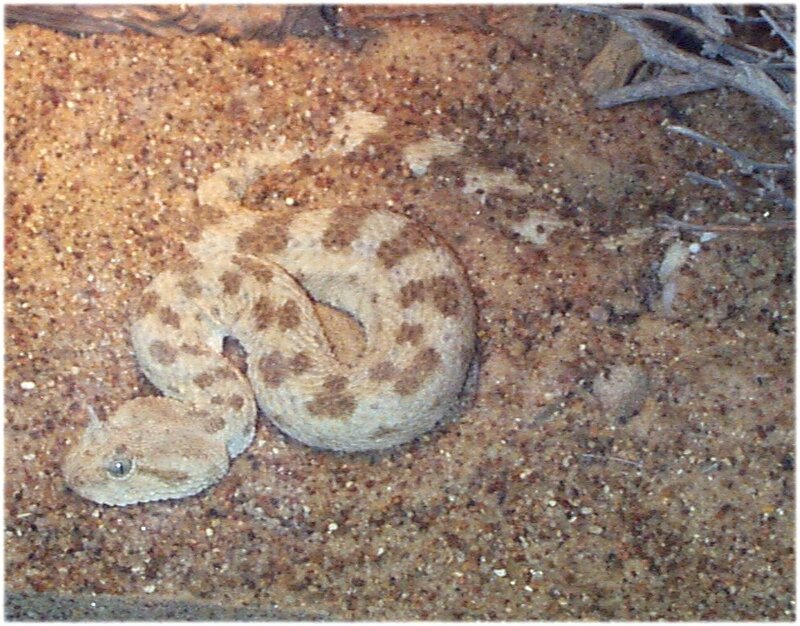 The Desert Horned Viper is 4-5ft. long. Its head is broad and triangular with two horns that stick out above each eye. Its pupils are vertical. Scales are keeled. 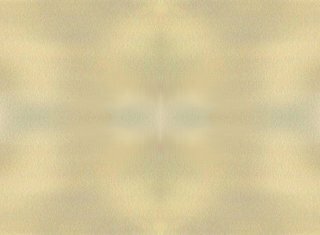 Color is tan with darker spots down the back, and a dark line extends from the eye to the temples. The Desert Horned Viper lives in the desert. They usually bury themselves in the sand in order to keep cool in the desert heat. They overwinter in the borrowed burrows of rodents or burrowing lizards. They usually move with their bodies in front of their heads in order to keep the sun out of their faces, using their bodies as a wall. They normally hunt during the night. They received their name because of the two horns that stick out of the top of their heads. Horned vipers are egg-layers. Mating takes place from April to June, and the female will lay and 12-20 eggs in damp soil. The eggs incubate for about 8 weeks and then hatch. The young snakes become sexually mature in about two years. Captive specimens of this snake can live as long as 18 years. The "horns" on this viper may help to protect its eyes from injury or may simply contribute to the snake's camouflage. 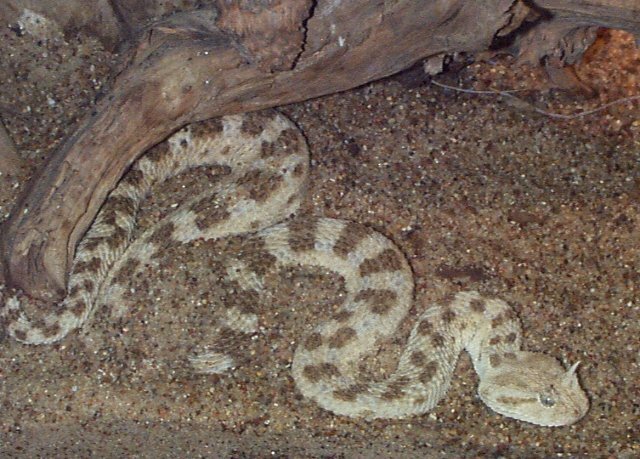 The horned desert viper can burrow quickly into the sand by rapid sideways movements of its body, leaving only the head and eyes visible. However, in its natural environment, loose sand may not be available, and the snake will then hide under a rock or in the burrow of another animal. The color of the snake helps to camouflage it against sand or rocky ground, especially when it is partially buried. Cerastes cerastes is an ambush hunter, lurking quietly in a half-buried position until an unwary lizard or rodent comes within reach, and then lunging quickly to capture its prey. Although this is not a rattlesnake, it can make a sound by scraping its scales against one another. The venom is hemotoxic. The Desert Horned Viper is known to be a quiet one. They usually are not aggressive when approached. This snake comes from the Sahara Desert in Africa where it was found. They are members of the Viperidae family of snakes, because of their fangs and venom. The Desert Horned Viper was very interesting to look at. The Horns on its head was a very unique style. The snake was smaller than I had expected it to be. It tended to stay in the front of its cage by the tree branch, I guess it didn't want to be bothered by anyone. It wasn't aggressive towards me. It is a small snake with a semi-long body..